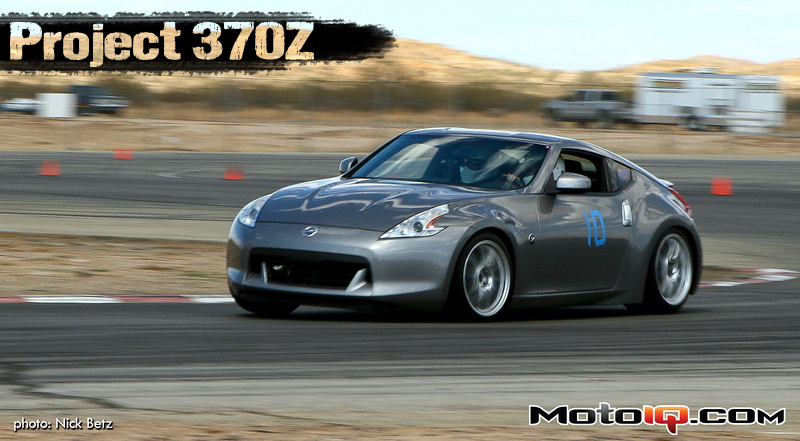 The Nissan 370Z is a notoriously under cooled car. It has a pretty bad reputation for easily going into overheat limp mode very quickly under track conditions and sometimes even on the street during normal driving in extremely hot conditions. 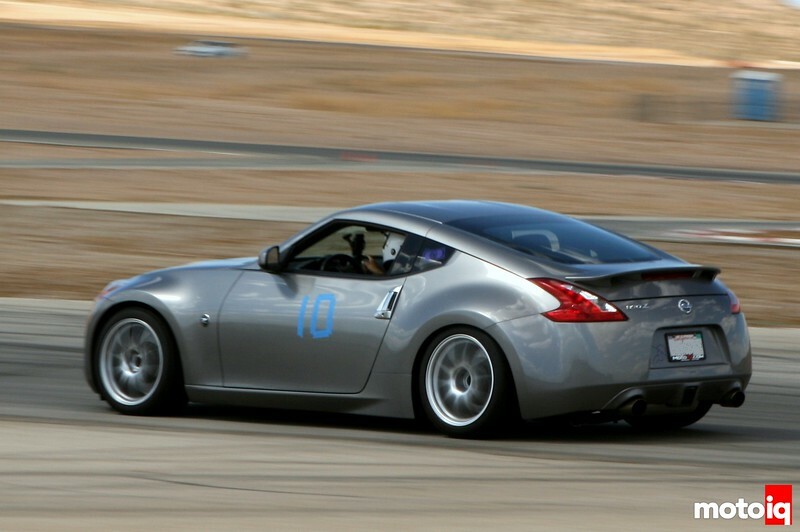 Nissan knows about the problem – 370Z press cars are fitted with oil coolers and diff coolers. Probably Nissan does not want to add to the price of the car and instead relies on cheaper electronic nannies like limp mode to control the engine's and driveline's temps. That was not going to cut it on our car. During track use our oil temp and coolant temps would start to get really hot in about two laps, hot enough to where we would have to slow down to avoid limp mode. This was completely unacceptable as we actually use our project cars on track, so we had to improve cooling enough to where we could drive the car hard enough to enjoy it. With the overheating issues that plague the 370Z you would figure there would be multiple radiator options, but CSF is the only company supplying a drop-in high performance upgrade for the 370Z. The stock Nissan design is an odd one. The AC condenser and the radiator itself are a one piece unit. This was probably done to save costs but it makes upgrading the radiator difficult. It is also difficult to remove the A/C for racing. 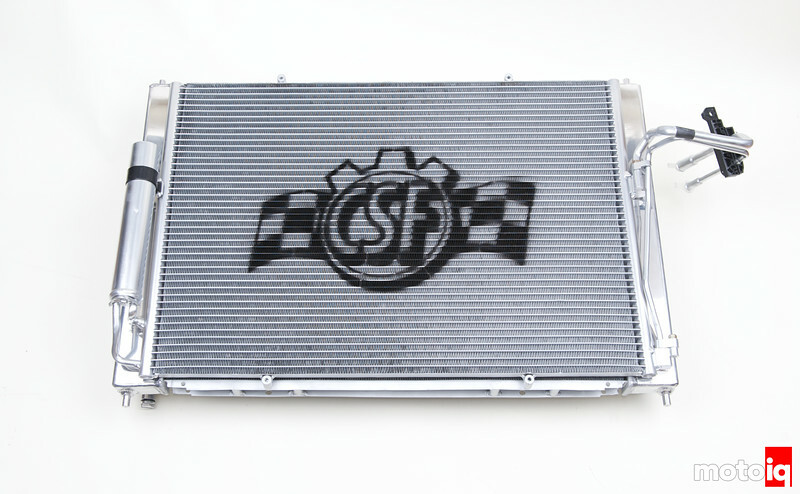 The CSF racing radiator is a two piece design where the AC condenser is larger than stock and separate from the radiator and can be removed for racing. There is a bigger gap between the condenser and radiator to help evacuate hot condenser air before it hits the radiator. These features help the A/C work more effectively. The radiator and condenser are all TIG welded aluminum vs. the plastic and aluminum with bonded joints that the stocker uses. All brackets and fittings are not cheap stampings but CNC machined from billet. 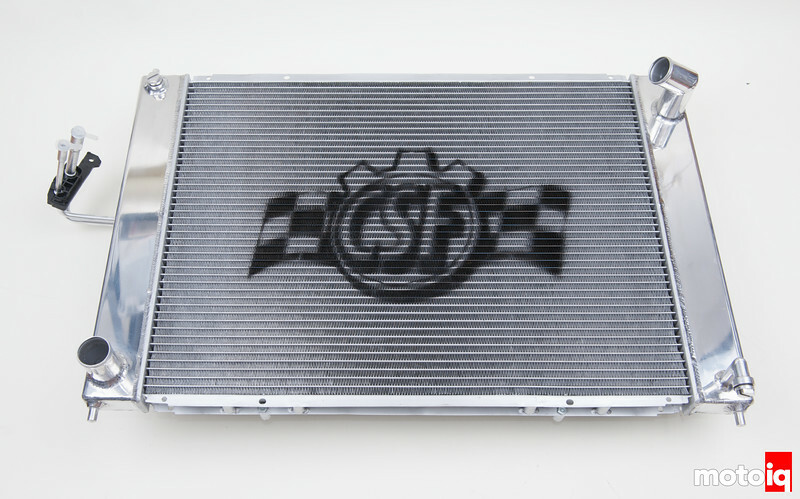 The CSF radiator is also a direct drop in replacement. The radiator core itself is 32mm thick vs the stock 15mm, that's more than twice the thickness! The tube design is called a B-Tube. This exchanges heat 15% more effectively than the traditional oval shaped tube and is the same sort of tube used in the GT-R radiator. 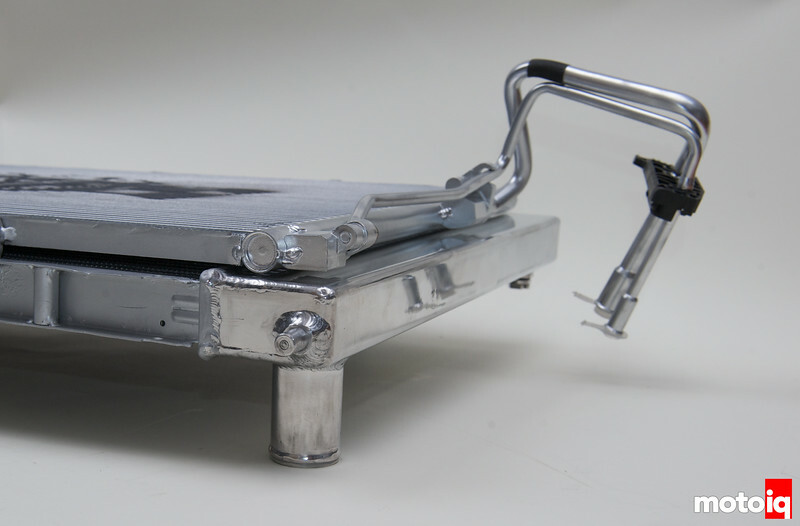 A strong aluminum drain plug is used and the radiator employs a standard SAE cap. A CSF radiator also has a 40% higher burst strength than stock. Finally the radiator end tanks are hand polished for nice looks! The condenser lines are all bent to match the stock parts for an easy installation. Our test track would be the Streets of Willow during a track event put on by the team at K.R.O.P.S. (Keep Racing Off Public Streets). Lucky for us the desert weather did not disappoint and gave us the chance to collect valuable data on how the radiator would stand up to on-track abuse.